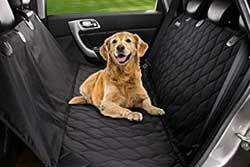 Pet Friendly Rentals in Palm Beach Florida! Or try Trip Advisor already filtered for Palm Beach and pet friendly.My strawberry hand-picked selection is below!They have the best reviews. New! 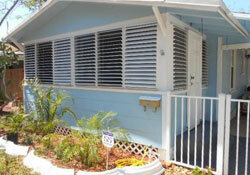 wheelchair accessible, petfriendly, by owner rentals in Palm Beach. 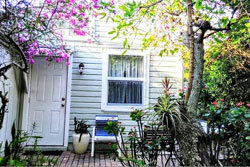 'Old Florida' Garden Cottage With Shared Pool - Book this! 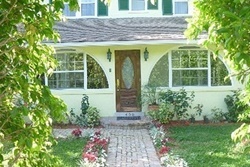 'Old Florida' Garden Cottage With Shared Pool - 1BR/1BA, sleeps 2; no min stay, Avg $181/nt - BOOK IT! Seagrape cottage by the Intracoastal Waterway - Book this! Seagrape cottage by the Intracoastal Waterway - 2BR/1BA, sleeps 4; no min stay, Avg $90/nt - BOOK IT! Beautiful Renovated Condo - Book It! Casa del Sol 2 Bedroom Home - 2BR/1BA, sleeps 5; min stay 7 nights, Avg $2138/wk - BOOK IT! TripAdvisor #FKN6894298 - Casa del Sol is our newest house in the collection after having gone an extensive renovation, including all new furnishings and the addition of a new, 30 ft heated pool with a spacious pool terrace for lounging and dining. This fully furnished and equipped 2 bedroom/1 bathroom charmer is historically landmarked and sleeps 5 guests comfortably (including a sofa bed in the Florida Room). The house is located on one of the quietest streets in the Grandview Heights Historic District, 10 minutes walking distance to the West Palm Beach Arts & Entertainment District with restaurants, shops, bars, street cafes, boutiques, museums, theaters and more. Escape to the Beach at Sunshine Cottage! Tropical Oasis, Family Friendly Palm Beach House -Book It! 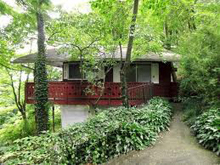 Homeaway #4096023 - This home is a perfect vacation home located in a one acre lot with 2700 sf construction area. 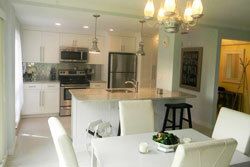 The home is located in Paddock, an upper scale community in Wellington, Fl. Close to equestrian and polo activities. 20 mins from Palm beach International Airport and 25 mins to the beach and all amenities close by. Sea La Vie Palm Beach - Book It! 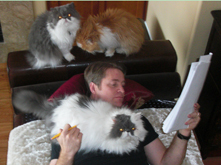 Pets considered with owner approval. 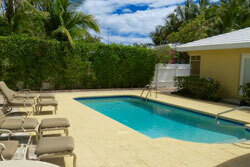 Private Large Pool Home A Block From The Beach And Intercoastal - Book It!